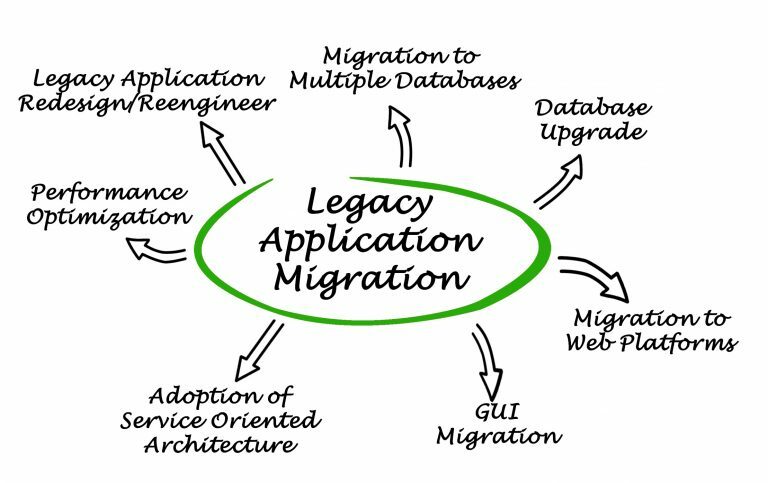 Here’s what you need to know if your software vendor starts talking about migration. Is your web-based stakeholder software truly SaaS? SaaS platforms offer a number of benefits, starting with continuous improvements, fixes and new releases that take place with no effort or disruption on the client’s part. You’re always working with the most recent and functional version of the software. However, such benefits only hold true if you are working with a true SaaS platform. If a software vendor starts talking about needing to migrate to the most recent version of the software, then you are not getting all the benefits of a SaaS. The latest features are continuously being improved. You can belong to a community of users for sharing experiences and learning best practices. It offers predictable pricing that makes budget planning easier. Its environment is highly configurable and you can easily adapt it to your evolving needs. It’s supported by an accessible customer service intelligence team. One of the biggest benefits of a true SaaS platform is that it’s designed to accommodate the user’s evolving needs over time – whether it’s the addition of new team members, new projects, new workflows, etc. You will never need to migrate to a new platform because the platform is always growing and evolving along with you. Keep in mind that migrating to any new platform is a time-consuming process that can entail the risk of lost data and custom features or even functionalities strongly linked to your business processes. It also means that you’re migrating to an immature system that still contains bugs that will need to be resolved. Few businesses have the luxury of enduring such lost time and disruptions. With a SaaS-based platform, everyone is using the same standard system. This means that user feedback can be collected and can contribute to the overall improvement of the system. This feedback can include ideas for new functionalities, new methods for resolving specific or particularly challenging tasks, better ways for managing workflows, suggestions for improving the user interface/user experience, etc. This rapid and ongoing feedback directly translates into rapid and ongoing improvements to the system. A SaaS-based stakeholder engagement platform usually emphasizes configuration rather than customization (since it’s already built from the ground-up with stakeholder management in mind). As a user, this means the system will meet your basic needs from day one. To meet more specific or evolving needs, you can easily configure the system without having to rely on your vendor. For example, with the more powerful SaaS stakeholder engagement platforms out there, you can easily improve your dashboards by integrating new KPIs, add/remove fields in forms and activate a new notification with just a few clicks. Licensing for a genuine SaaS solution typically encompasses not just access to the software itself, but to all associated services as well: technical and customer support, server infrastructure and maintenance, ongoing software improvements, bug fixes, etc. There are different pricing models on the market, so be sure you understand how they work. With some solutions, you may receive a surprise invoice a few months later for additional services or for exceeding a certain number of users, records or projects. Beyond simply annoying, these unplanned costs could prompt employees or contractors to adopt strategies to change their system usage behavior and stop tracking certain stakeholder interactions in order to keep costs under control – a strategy that could jeopardize successful project delivery. After all, in order to address emerging issues in a timely and proactive manner, you need to have a clear and real-time view of all interactions taking place. Look into the pricing model and make sure it allows you to easily predict your budget. In terms of implementation time, a SaaS platform is usually up and running very quickly with no time wasted on non-strategic tasks. If the implementation is draining resources in terms of staffing and time, then the platform has not been designed to fit your purpose and required customization. A long implementation timeline also means higher internal costs. This scenario can often be seen in organizations that embark on the complex journey of custom-building their own software or that try to create a stakeholder engagement module in a customer relationship management (CRM) or Safety, Healthy, Environment and Community (SHEC) software – neither of which are designed for managing stakeholder engagement. Both approaches entail extensive customization before any real benefits are seen. Nor will the resulting software or modules have built-in evolution. Securing a social license to operate has become a key priority for businesses in recent years, so it’s not surprising that stakeholder engagement software has become remarkably sophisticated and powerful. One of the biggest drivers behind this rapid jump in functionality is the fact that the leading stakeholder management platforms out there are specifically designed for this purpose and can deliver measurable business benefits. Borealis stakeholder engagement software is a true SaaS-based information management system. It is used by industry leaders around the world to successfully manage stakeholder and land access efforts, demonstrate compliance and secure social license to operate – all from a centralized and highly configurable platform. Contact our team to schedule a free personalized demo.